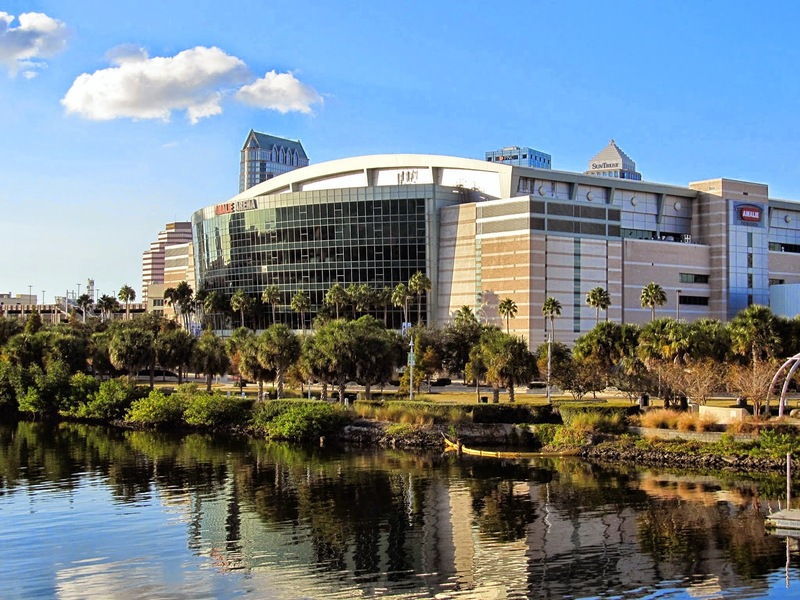 Amalie Arena is a multipurpose arena located in Tampa, Florida. The arena is home to the NHL’s Tampa Bay Lightning. The Amalie Arena has hosted numerous ice hockey events like the 2004 Stanley Cup Finals, 2015 Stanley Cup Finals, the 2018 NHL All-Star Game, and the Frozen Four of the 2012 NCAA Division I Men’s Ice Hockey Tournament. The arena is also famous for its music concerts and conventions. Some notable acts that have performed at the Amalie Arena have been U2, Billy Joel, Bon Jovi, Tim McGraw, AC/DC, Elton John, and Roger Waters. The PNC Arena is a multipurpose indoor arena located in Raleigh, North Carolina. The arena is home to the NHL’s Carolina Hurricanes and the NCAA’s NC State Wolfpack. The arena is the eighth-largest arena in the NCAA. The arena also hosts other sports events, concerts, and conventions along with hockey and college basketball games. Some notable acts that have performed at the PNC Arena have been AC/DC, Beyoncé, Billy Joel, Taylor Swift, Sam Smith, Luis Miguel, Kevin Hart, Lady Gaga, Ed Sheeran, and Katy Perry.